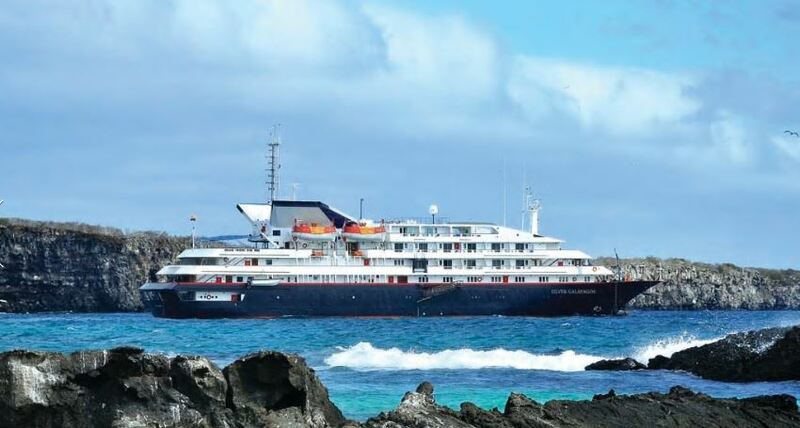 A Silversea Expedition Cruise for nature lovers to Ecuador’s pristine Galapagos Islands, home to wildlife found nowhere else on earth. The year round cruise follows distinct itineraries, each with their own highlights. 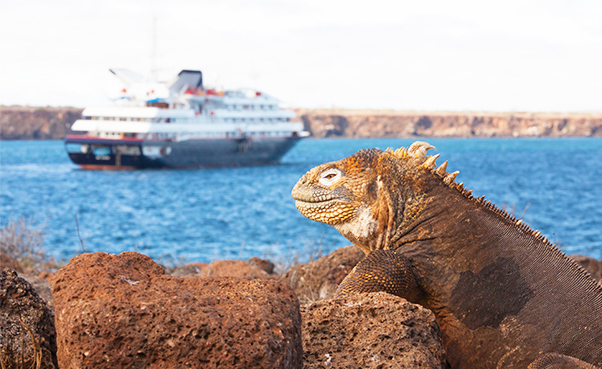 Discover how Galapagos landscape, varies from lush forests and mangroves to barren lava fields. Included:Roundtrip economy air transfer between Ecuador and the Galapagos Islands. Two-night pre-cruise hotel stay with breakfast at the Quito JW Marriott. Evening tour of Quito’s historic city highlights. Post-cruise hotel day room at Hotel De Oro Verde in Guayaquil (for guest with flights after 10pm) Transfers between the airport and the Silver Galapagos in Baltra / San Cristobal. Transfer from the airport to the hotel in Guayaquil. Transfer from the Hotel Oro Verde to the airport in Guayaquil. The North central cruise includes bird island with over 70 bird species, sea lion families and the famed giant turtle, lava fields and lava lizards, the red- and blue-footed boobie, corals on North Seymour, hiking to an extinct volcano, water-spouting “blowers”, marine iguanas, swimming and snorkeling in tranquil, clear waters. 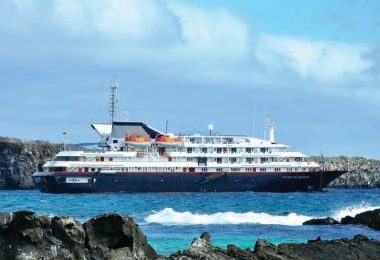 The Western cruise includes a walk across a spectacular lava field; tidal pools and scalesia forests, pelicans and penguins, snorkel for green sea turtles, hike through forests of Palo Santo “Incense” trees, visit the most volcanically active places on earth, see wild flamingos and nesting sea turtles, observe giant tortoises and sea lions, photograph the iconic Pinnacle Rock.